MagicColors - touch the magic and colorenchant your images. 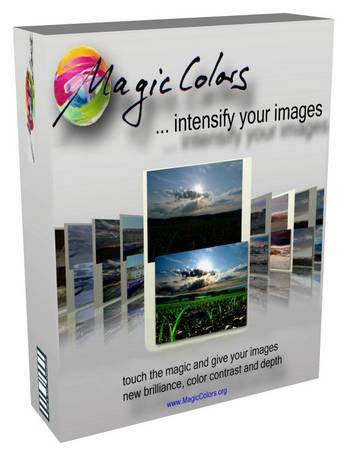 MagicColors is a powerful Windows application that turns ordinary photos and images into stunning masterpieces. Using its unique regional colormapping technology, this hdr software automatically enhances the colors and contrast of images. Create images with astonishing richness and contrast with a mouseclick. MagicColors needs only one image to improve degraded contrast regions. see the before-and-after images to appreciate how MagicColors can transform a snapshot into a valuable commercial photograph which is rich in detail throughout the image. See how MagicColors can transform a snapshot into a valuable commercial photograph which is rich in detail throughout the image. Business people and home users can use MagicColors' preset values to quickly turn ordinary pictures into memorable ones. Professional photographers and web designers can fine-tune the process, and create exactly the image that they need for the job at hand. Whether you're a professional photographer who needs to optimize all of the images that you create for a client, a business person who wants to add drama to web and brochure photos, or a home user who would like to create family photos and keepsakes that everybody will love, MagicColors has the tools that you need.